I want to thank you for coming by! I love Christmas in our house. I love opening boxes full of memories and treasures each year. I love our traditions that we each have, and that it's one of our favorite times of the year. 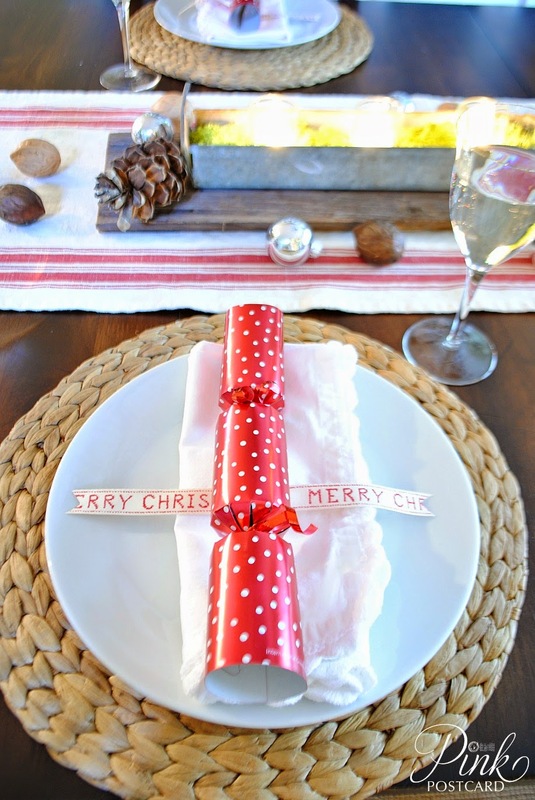 I love traditional colors for Christmas, and since we've got softer colors in our home, I've moved away from a red and green Christmas palette to red, white, and silver. 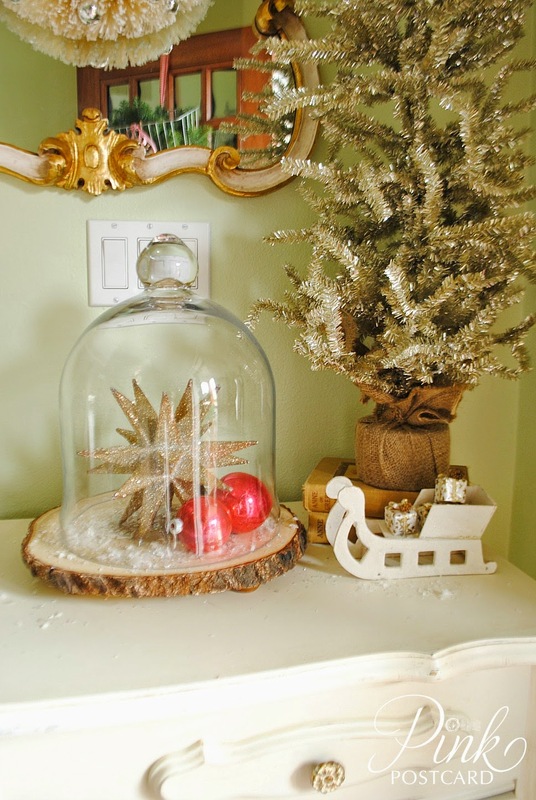 I'm not really sure what you would call our style...it's sort of a mix of vintage, sparkle, and rustic woodland. The little sleigh you see here was my grandma's. 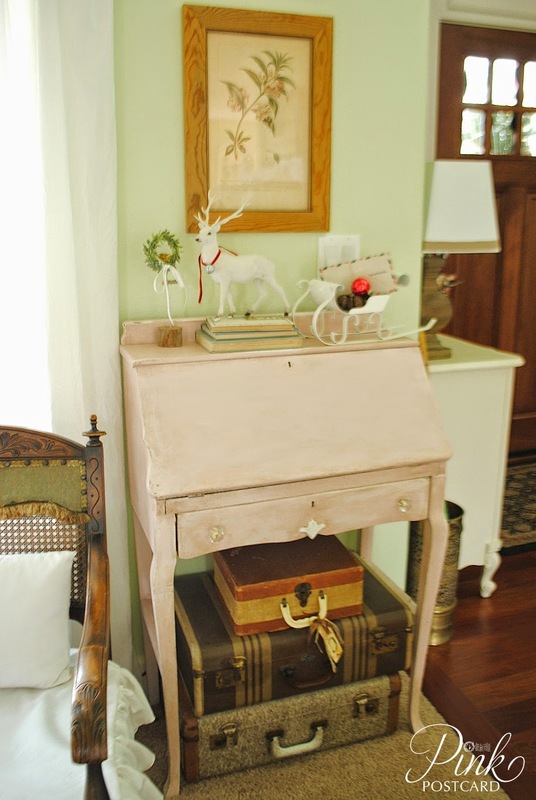 When I was little, I remember it sitting on top of her TV console with a set of deer candles. Even the packages are part of the original pieces. 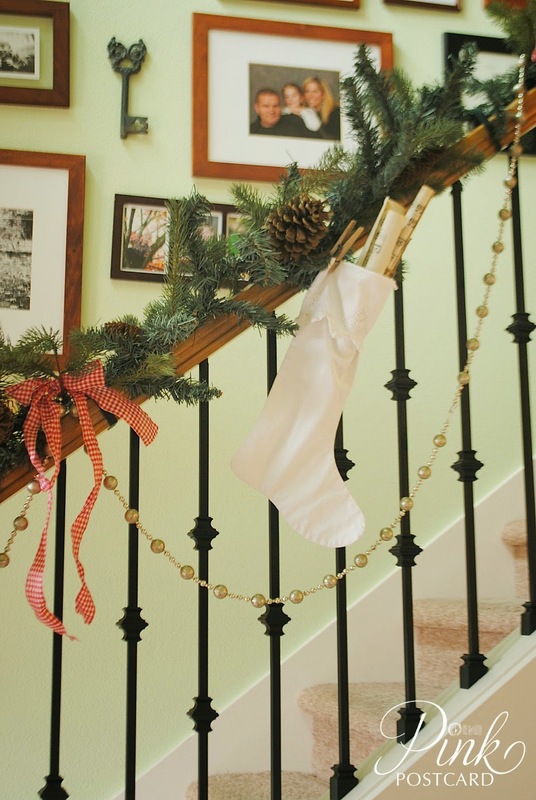 Our staircase has silver garland, red bows, and these vintage linen stockings that I made last year. 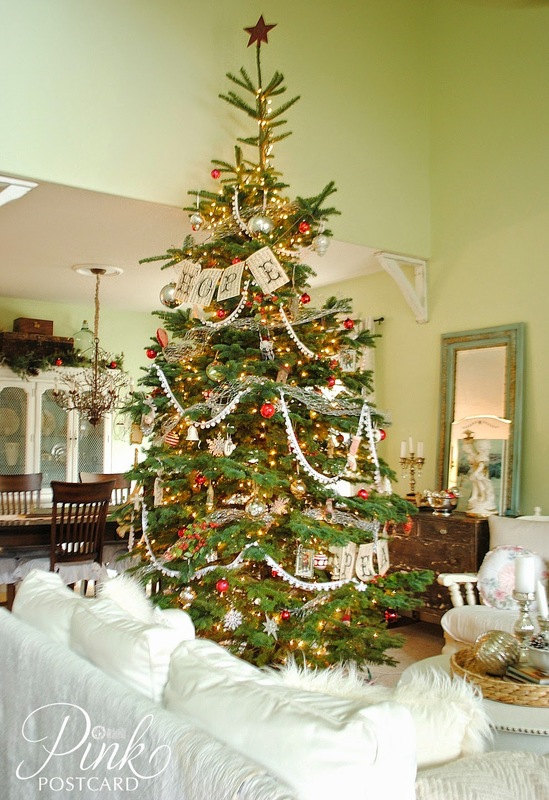 With such a tall ceiling in our living room, it's hard for me to not want to get a giant tree. It took us 2 hours to put up and get half the lights on. Even though we all love how it looks when it's decorated, I think Jon would be super happy if next year we had a 6 foot tree. 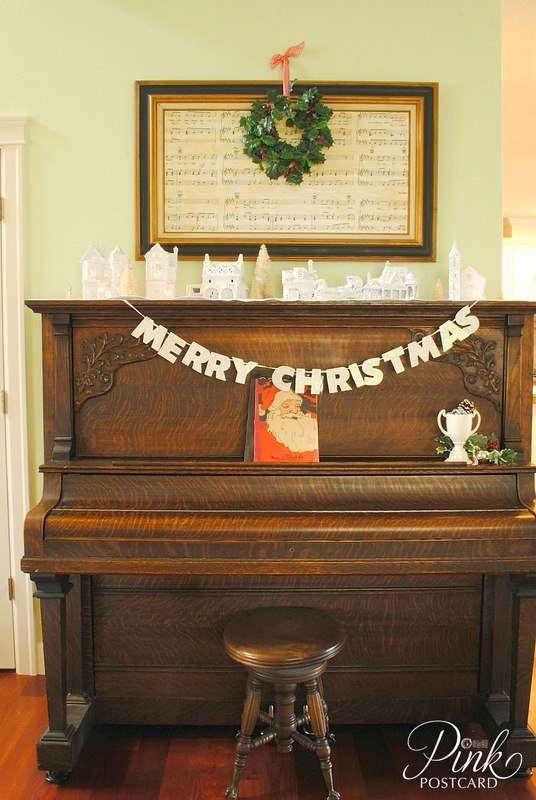 This year I swapped out our red bead garland for some white pom pom trim. Believe it or not, it's about 14 yards! But for a 13 foot tree, that's what it takes! 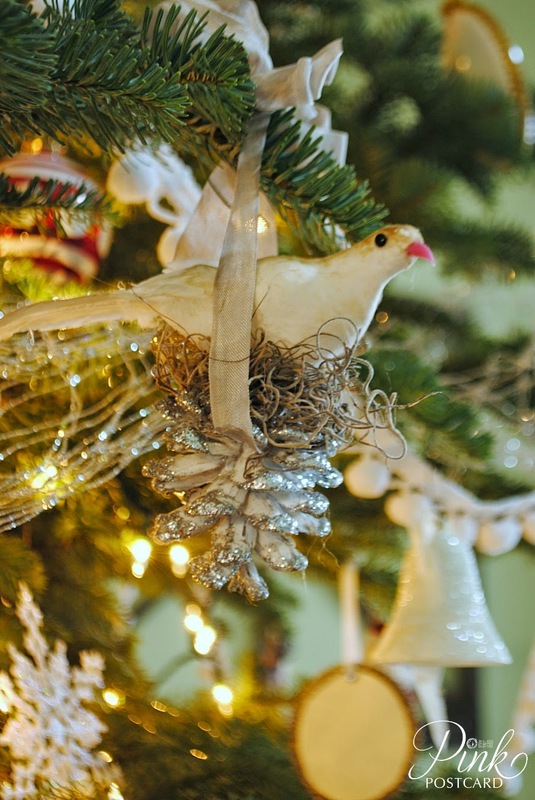 I add a few new ornaments every year, and this dove on a sparkly pine cone nest is one of my new favorites. It was made by my friend Sarah of Roost Reimagined. She is super creative and constantly inspires me! 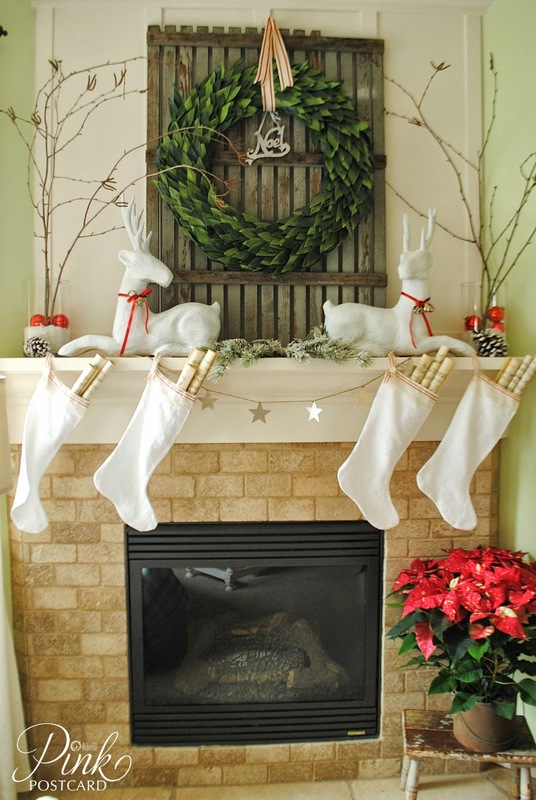 The reindeer, mini wreath and sleigh are all new for me this year. 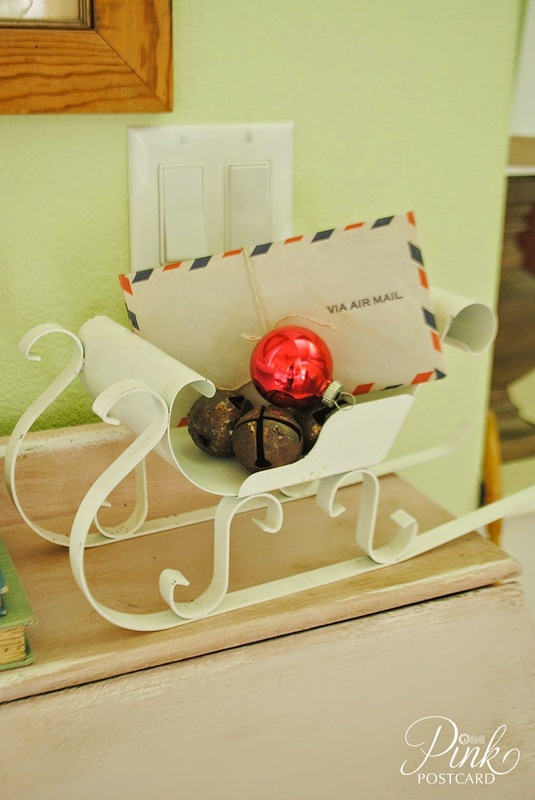 I added in some rusty jingle bells and vintage air mail envelopes to the sleigh. 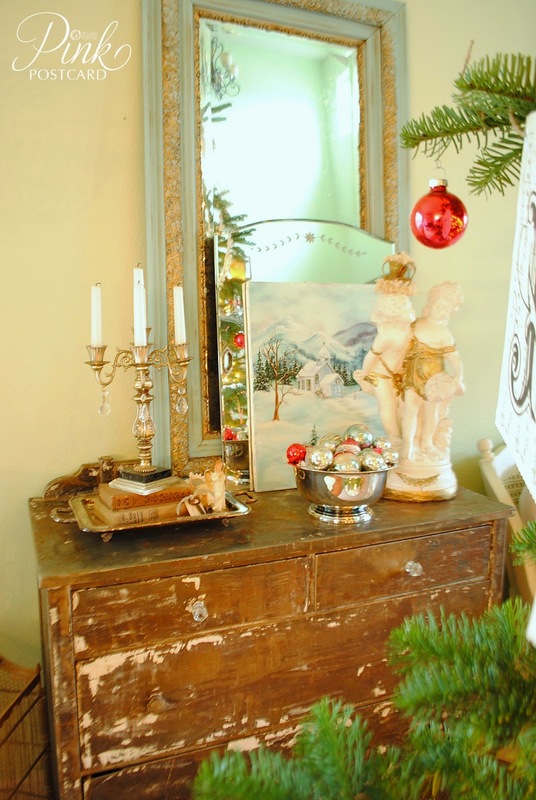 I bought our vintage Simmons steel dresser after Christmas last year, so it was fun to work with it this year. I also bought a few more vintage ornaments from Sarah. When I was buying them from her, Sarah said she thought of me. 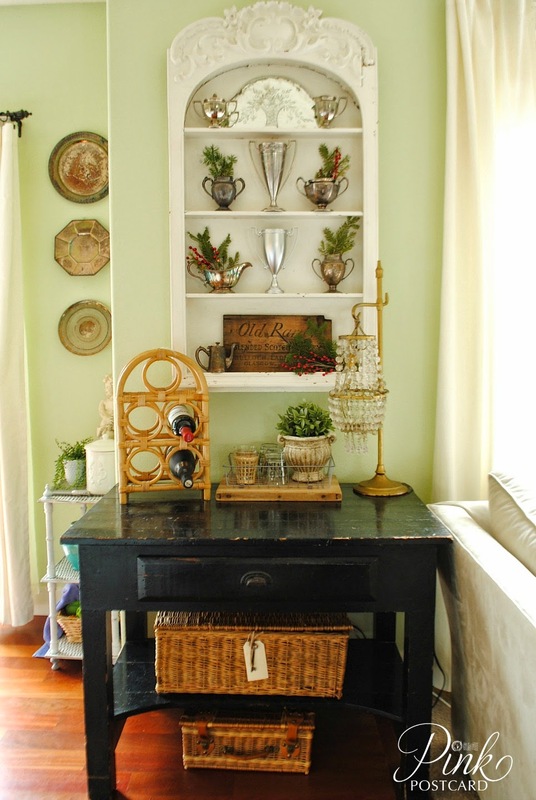 In our dining room, I added in several rustic pieces. I have lots of old barn wood that I've picked up over the last few months to make signs with, but lately I've been using them as centerpieces in here! I also make these table runners for my Etsy shop. It's funny that even though I've been selling them for a few years now, I rarely make any to keep for myself! I've always loved this particular one, so I finally made one for our dining room. I layered a rustic piece of barn wood and a chicken feeder on top. 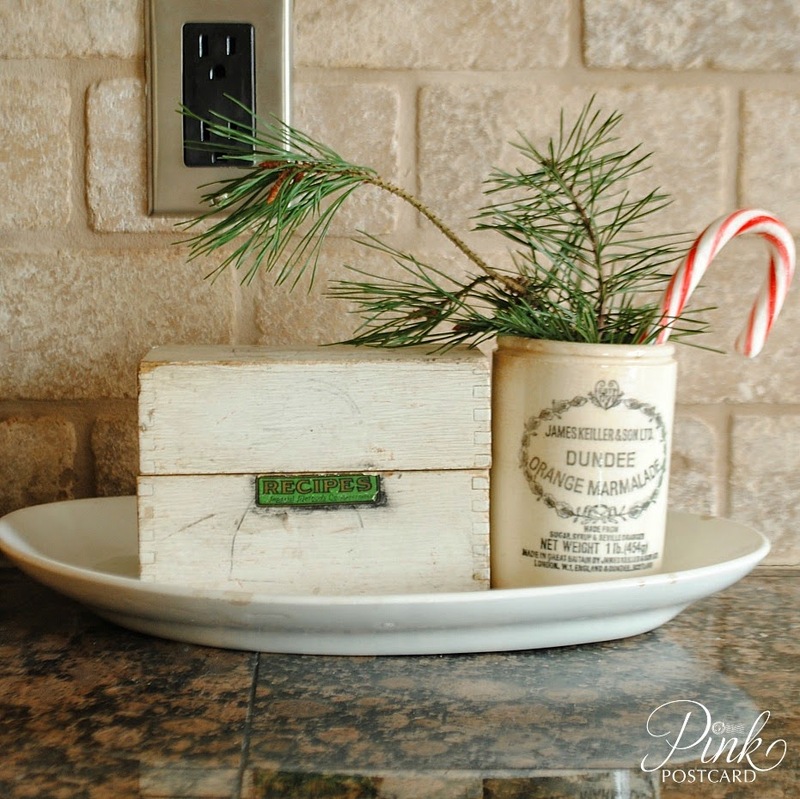 It's filled with chartreuse green moss and lots of votives for a farmhouse-feel centerpiece. 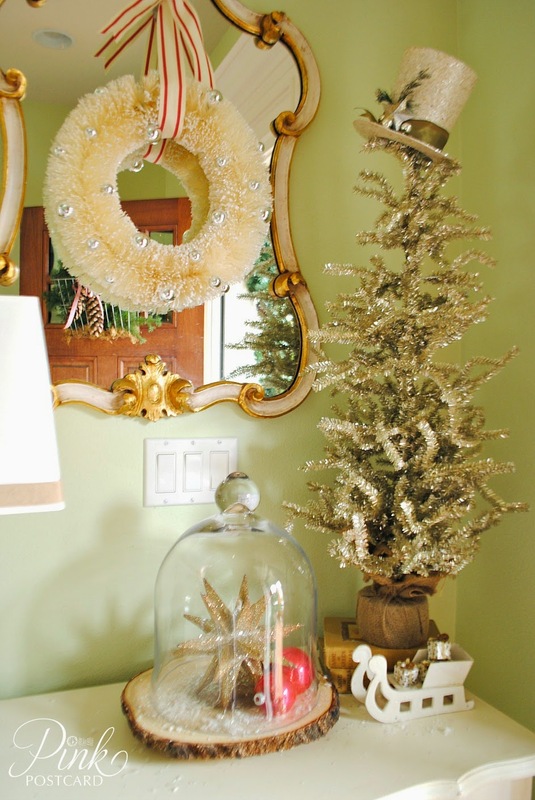 A few silver ornaments for a little sparkle, and some pinecones and walnuts. 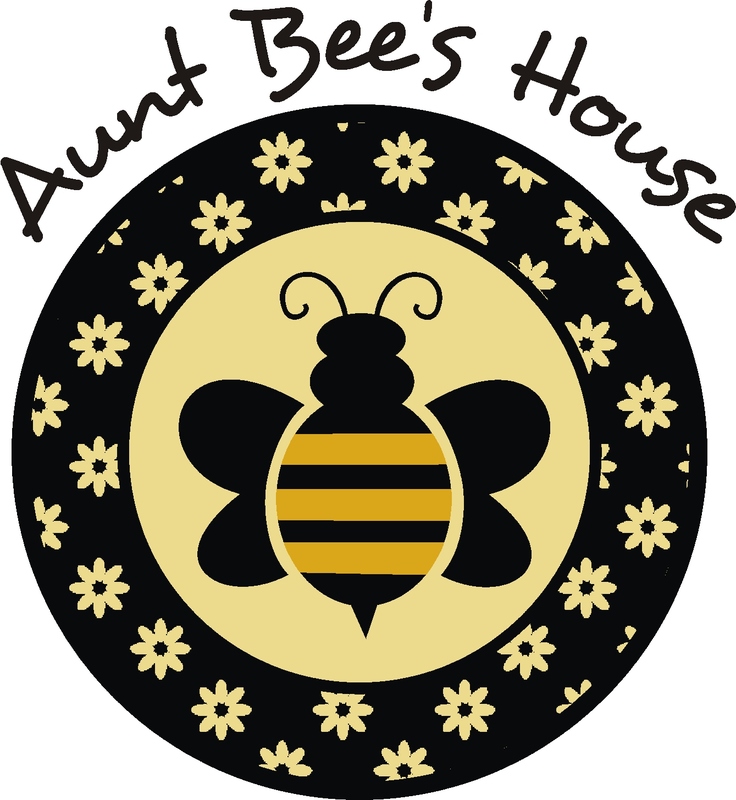 In another week, we will be having our annual progressive dinner. This is a little bit of what our table will look like. I'm still working on what I will be serving at our stop, so it will get tweaked as I figure out our menu. 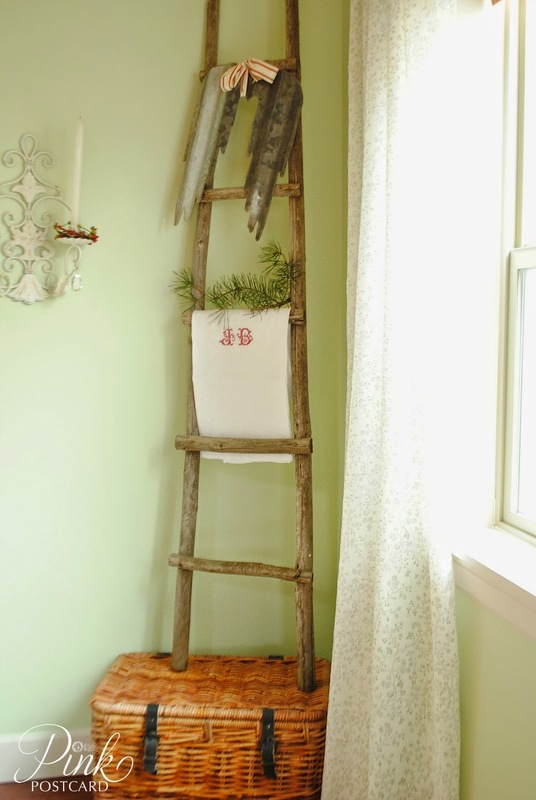 In the corner of our dining room, I was able to finally put to use a ladder that I bought this summer that I just couldn't let go of. I'd planned to sell it, but it's so darn cute, I just couldn't. I had our Fiddle Leaf Fig here, and it bit the dust recently after I repotted it. I went too big, too soon, and it didn't last long after that. I might try again after the holidays.....but for now, I love this. (seriously! Go check out her awesome creations on Etsy!! She is amazing.) 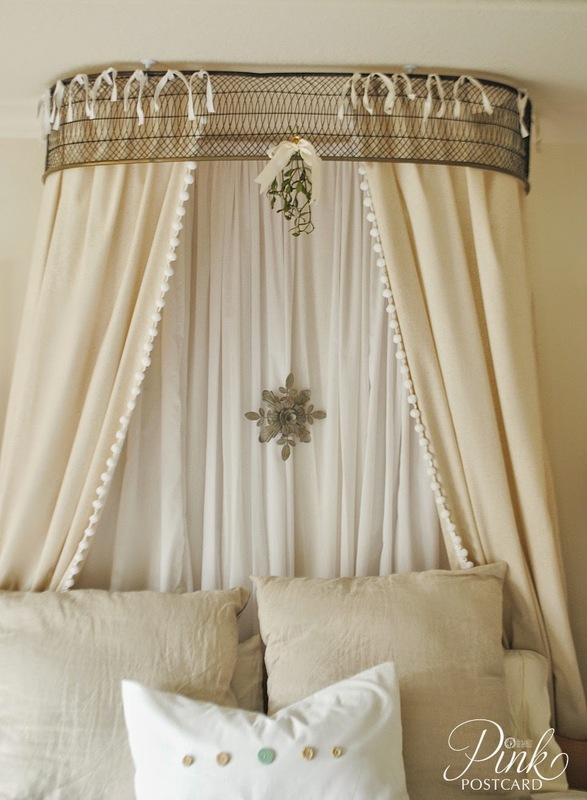 and the vintage linen is from my friend Alex of Attic Antics. I had to have it since it is Jon's initials. 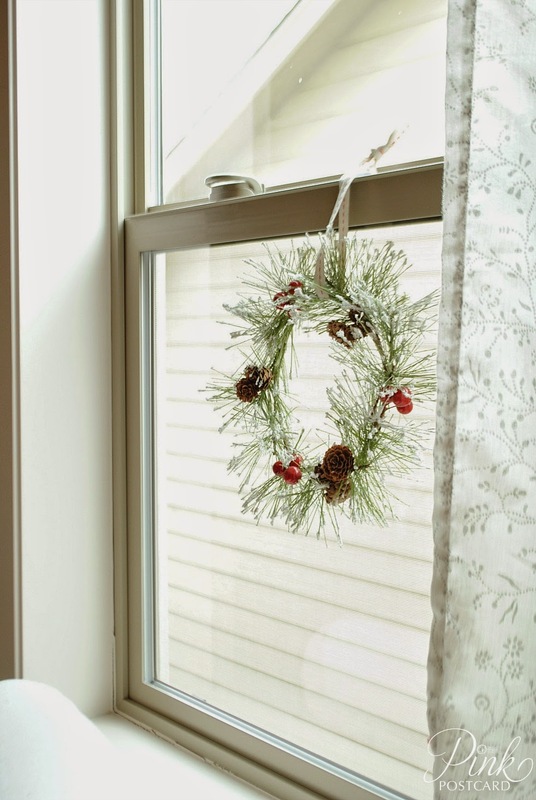 I love having little wreaths in our windows. Last year I had fresh, this year I went with faux. I like the wispy, frosty needles. 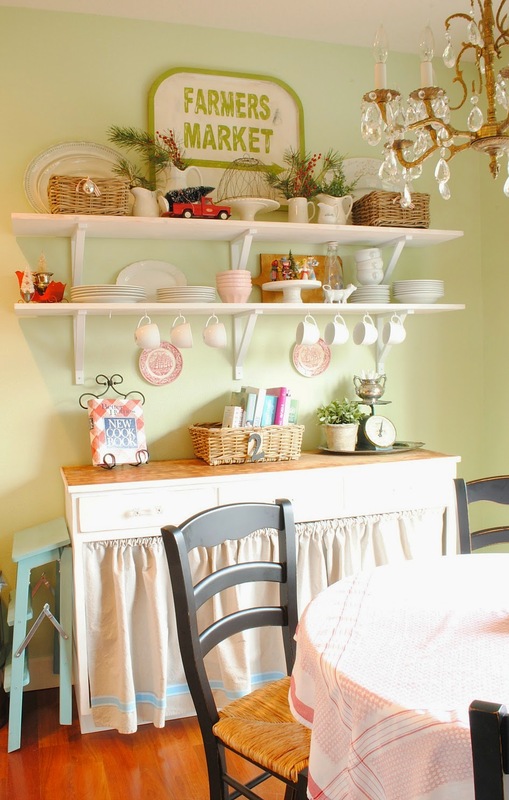 One element we've recently added to our house were these vintage wood corbels between our dining room and living room. I've been looking for the right ones for months now, and one of my favorite vendors at Aunt Bee's House had them! 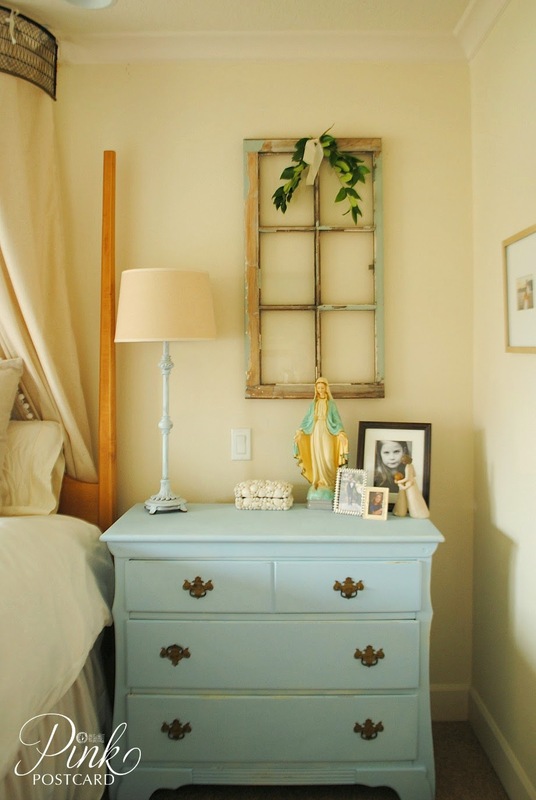 It's the same vendor that I bought our 'Union Jack' window frame from in our living room. I updated our snow village this year! Look for a tutorial next week! 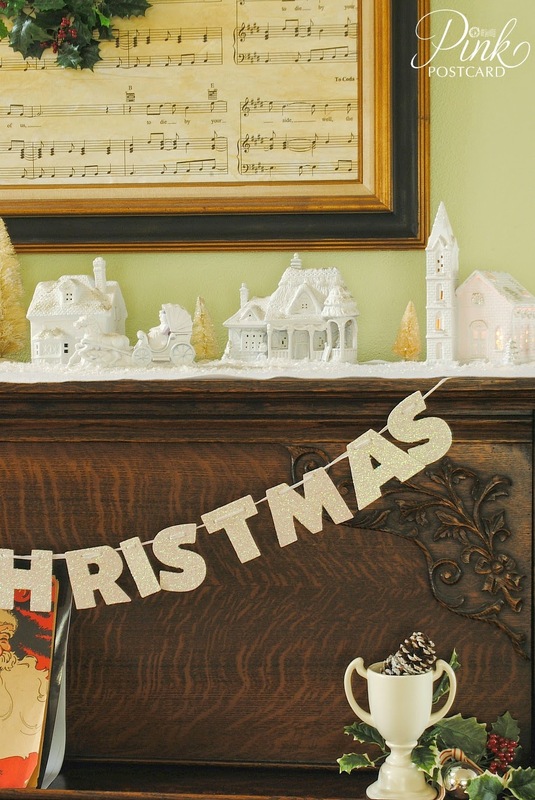 Our family room mantel didn't change a lot from last year- just a couple new pieces. 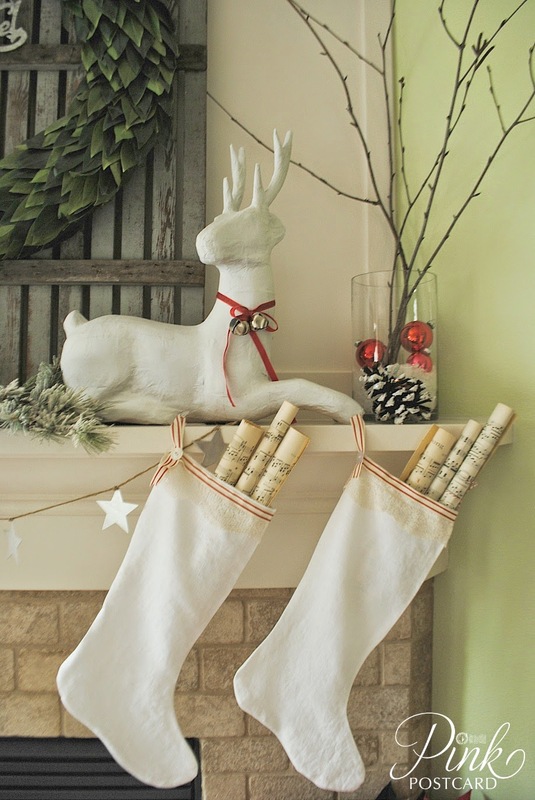 I added the rolls of vintage sheet music into our linen stockings because it keeps them straight during the holidays. The vintage mason jars on the white shutters have a few fresh greens and some red and white French stripe ribbon. 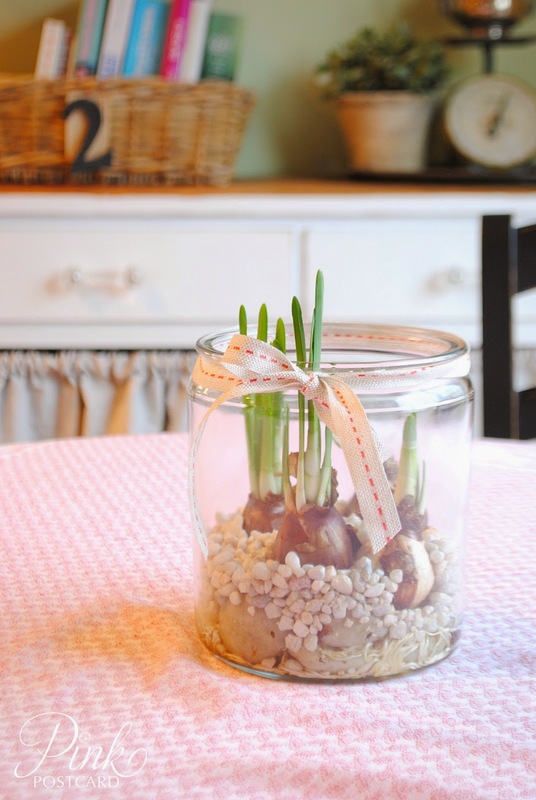 I used the 2 and 5 from my Ikea tags on the jars too. 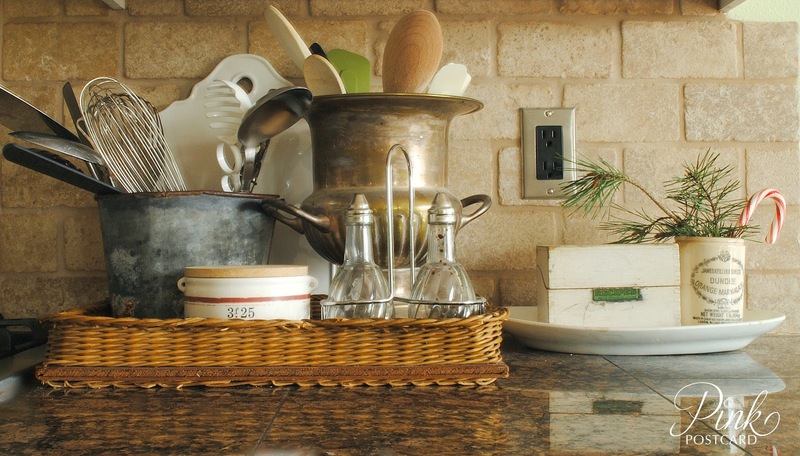 Our nook and kitchen have a few vintage pieces that spruce up our space. The paperwhites are growing... hopefully they will be in bloom Christmas week! Finally, I always want to add in a bit of Christmas to our bedroom, but I'm usually pooped from doing the main living area. 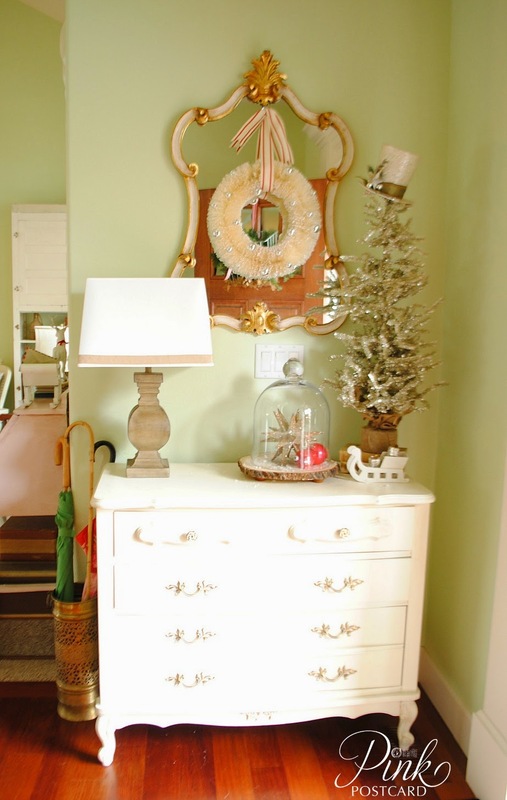 Hannah has her own tree in her bedroom that she decorates with all of the ornaments she's gotten over the years. 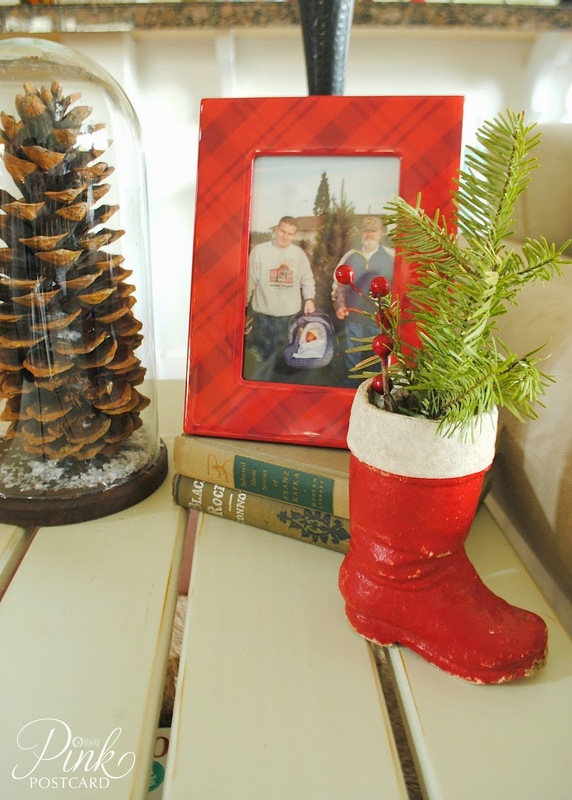 This year, I kept it very simple but still added just a tiny bit of Christmas. A few fresh greens that I clipped from our wax leaf privets to make little green swags on our window frames, and a small bunch of mistletoe hanging from the bed crown. Jon's comment was, "lets put that to good use!" Thank you so much for coming to our home today! Especially because of the celebration of Jesus' birth. The miracle of God reaching out to us in a relatable way. I hope you have a wonderful, peaceful season. 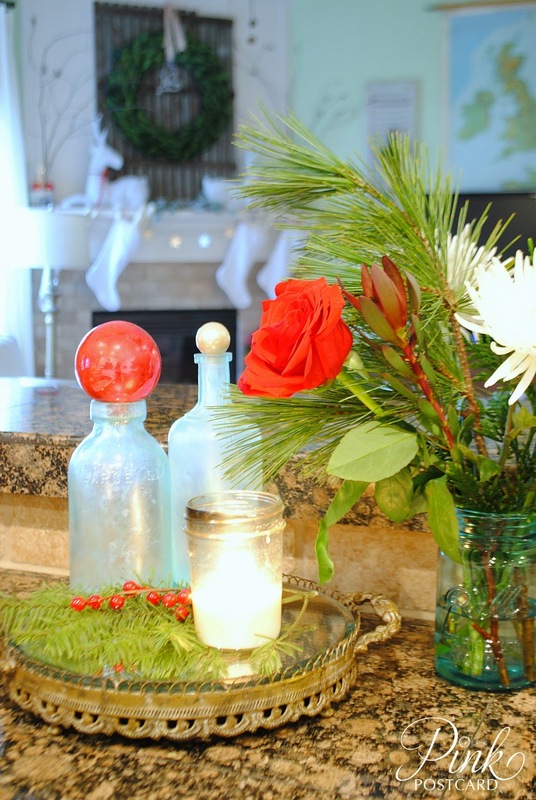 Your holiday home is BEAUTIFUL!!! 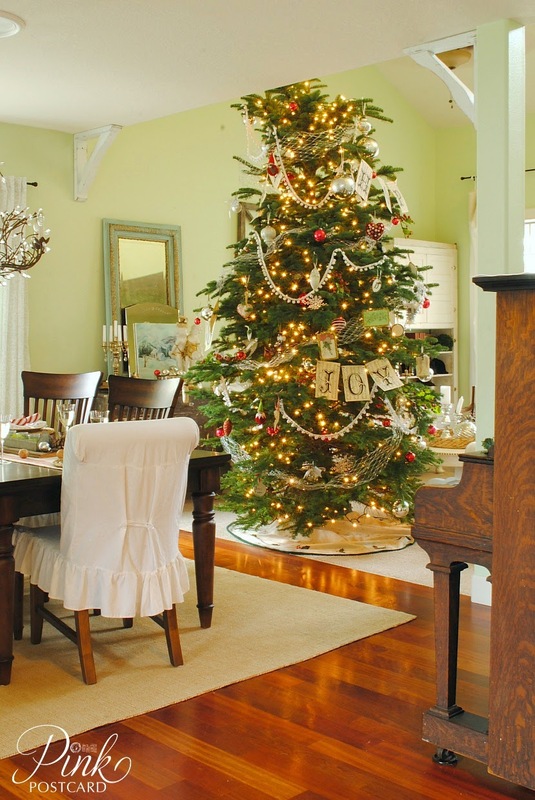 You had so many neat ideas in your decorating...LOVE your huge tree with the pom pom garland. Hope you will come by on Monday and share it at my party. 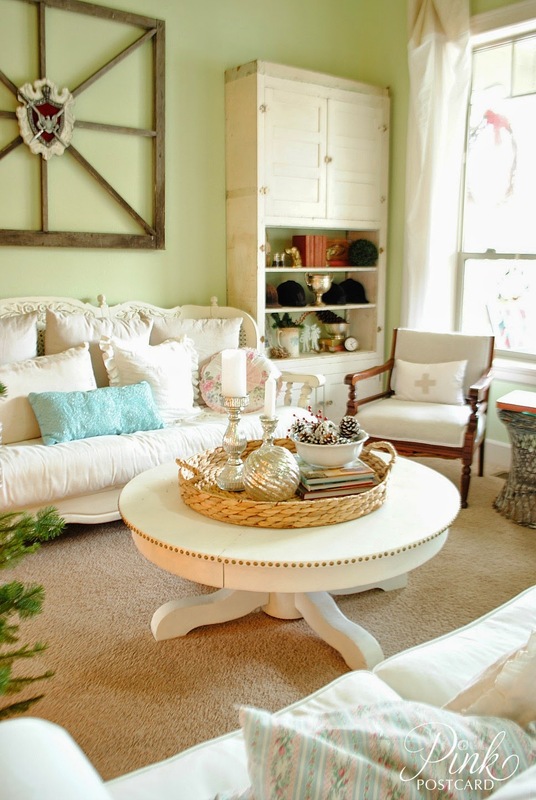 Your home looks wonderfully inviting and overflowing with holiday warmth and cheer!!!! Love it all. 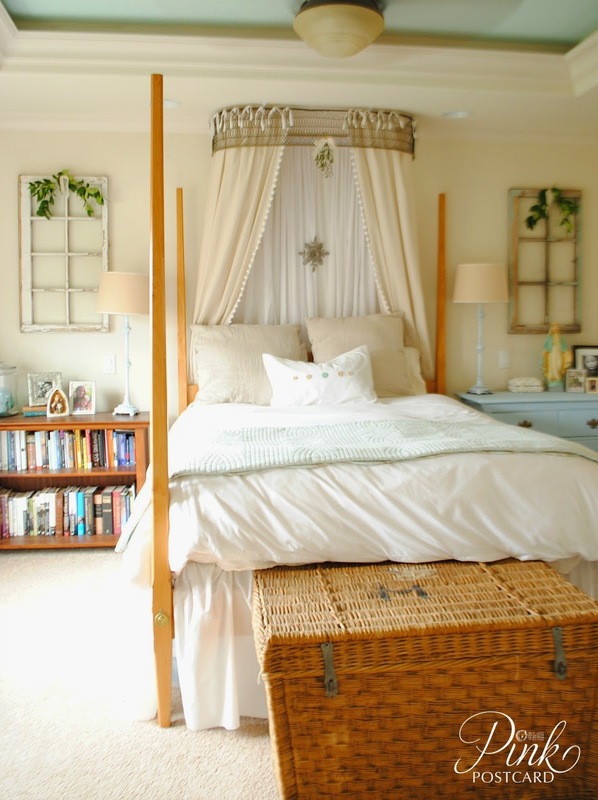 Denise your home looks amazing! I am always in awe of your tree every year. 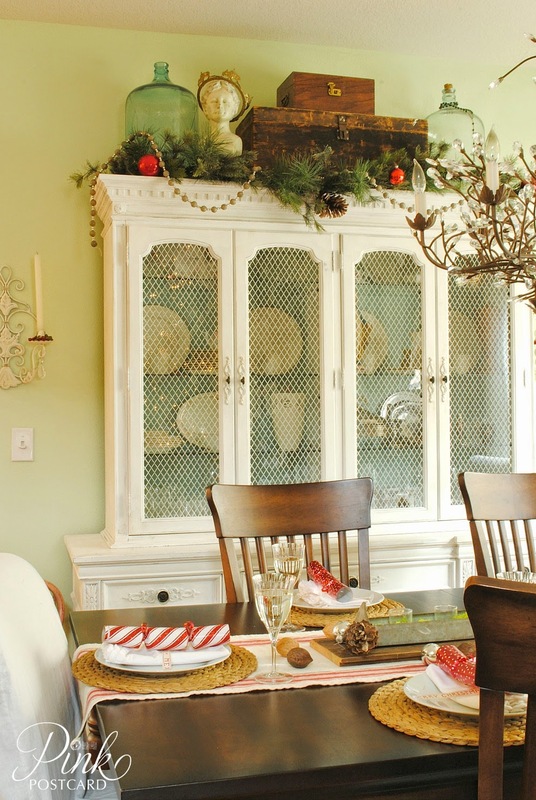 Thanx for sharing your Christmas home tour at Treasure Hunt Thursday! 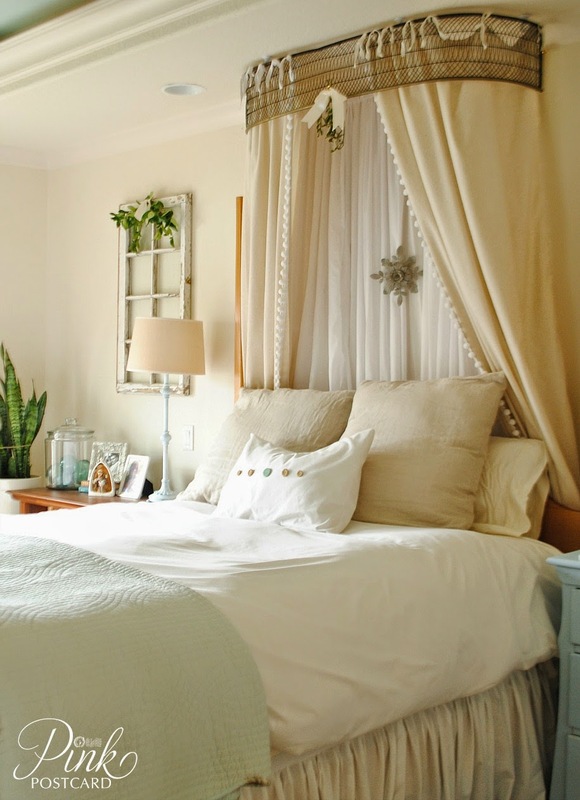 Your home looks so cozy and inviting! 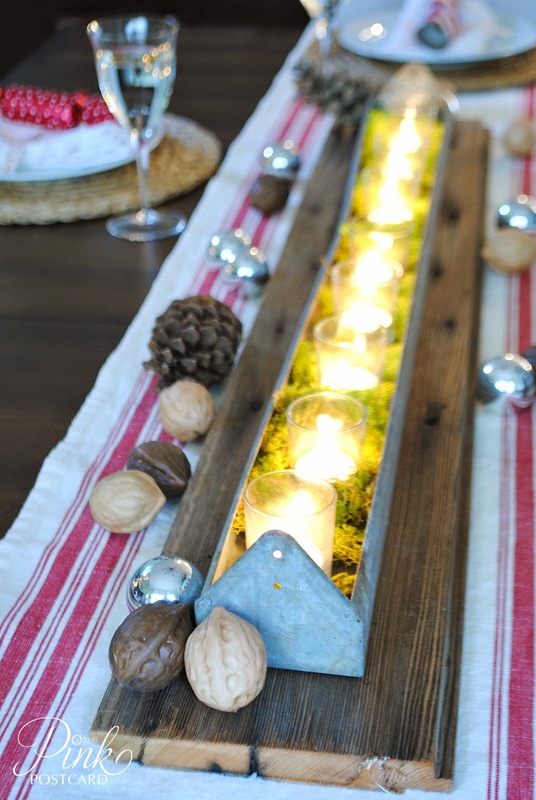 I love the chicken feeder centerpiece-brilliant idea! I love it all Denise! Its beautiful! Wow, Denise, your home is so beautiful! 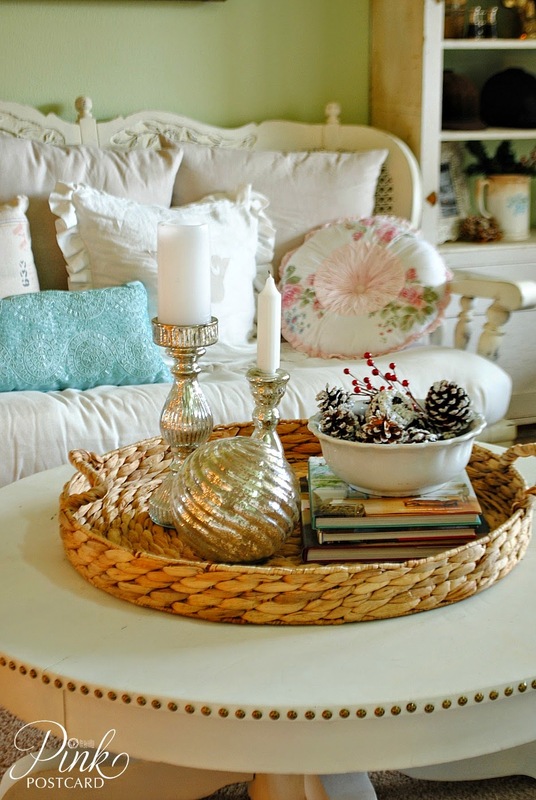 I just adore all of your vintagey pretties and your color scheme! Amei sua decorações natalinas. Sua casa está no clima de felicidade. Parabéns. 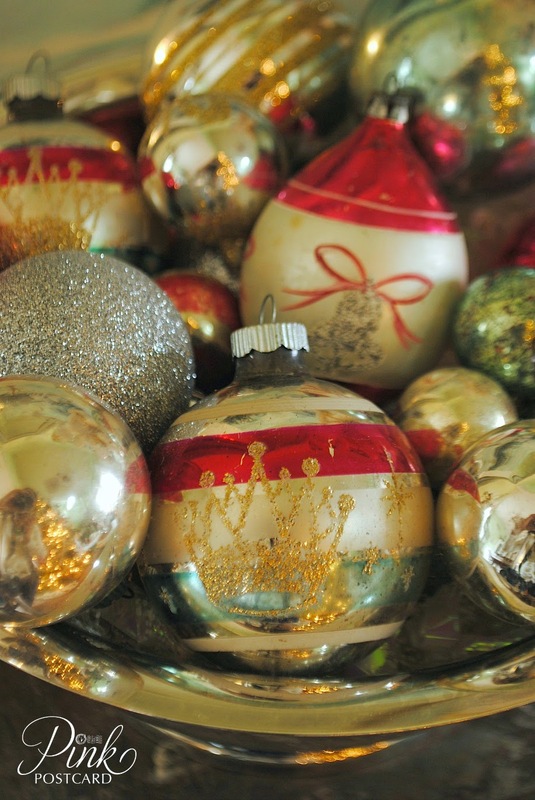 Your home is filled with holiday perfection. 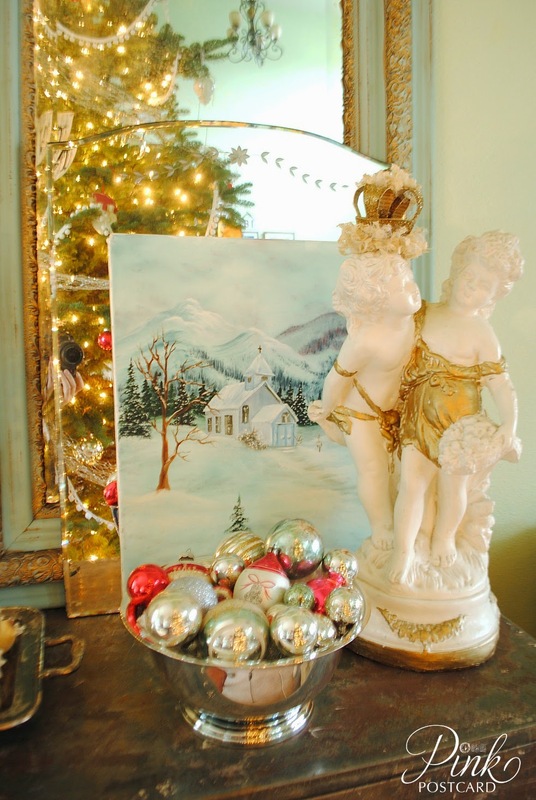 I adore all the vintage treasures you've used and that tinsel tree is amazing! You have a lovely home Denise full of Holiday Charm! I'm especially loving the reindeer and the banner around your tree. It's all so pretty. Beautiful color palette. Love that very tall tree too! Beautiful ! Love your tree ! 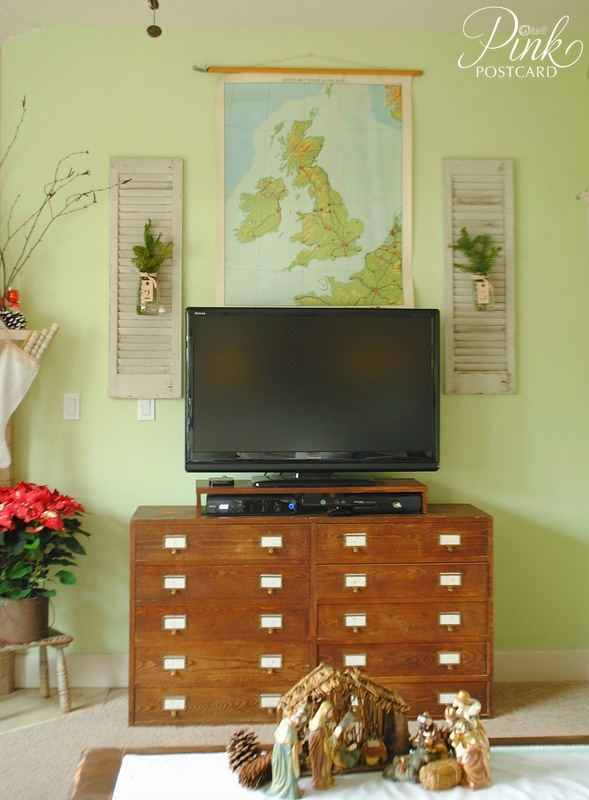 Your holiday home tour is a knock-out. Every little detail is so beautiful! Oh, the sleigh decoration is so beautiful!